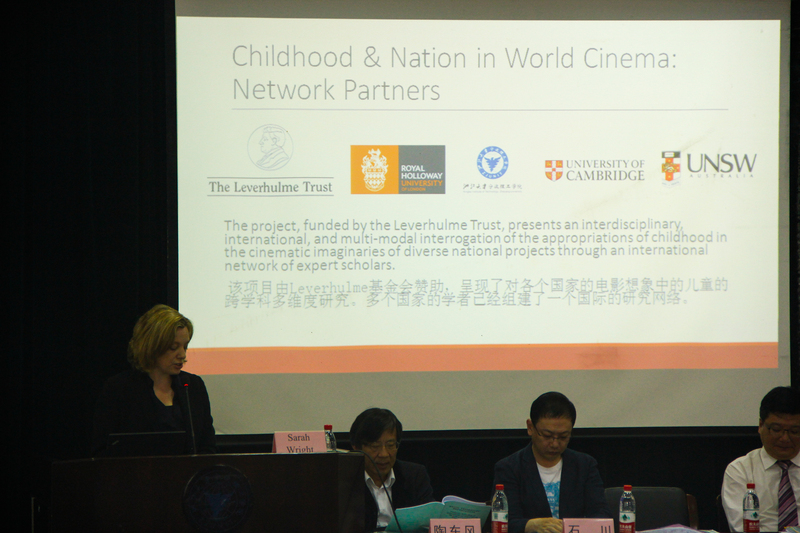 The second Childhood and Nation in World Cinema conference, organised by Qiu Zitong and Maria Elena Indelicato, began with welcome speeches by the Principle of Ningbo Institute of Technology and the Dean of the School of Media and Design, followed by an introductory overview of the network’s aims and objectives from Sarah Wright. 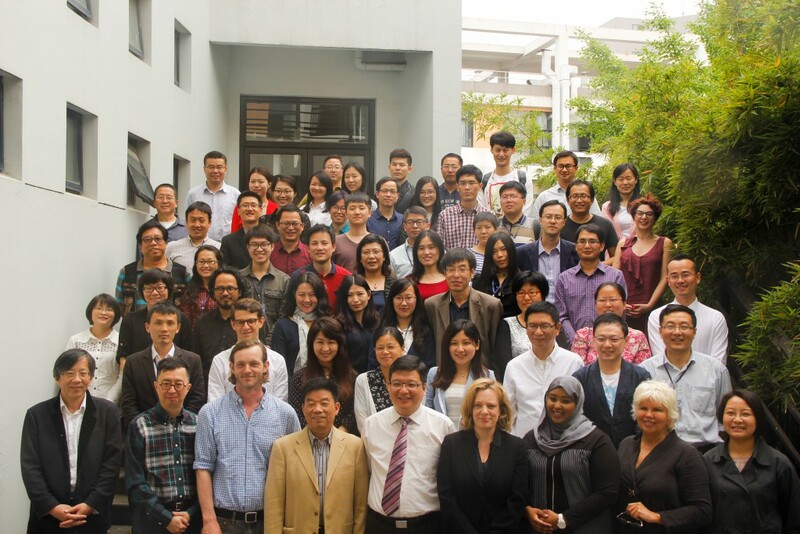 The day-long conference comprised eight presentations by academics from Australia, the UK, China and Maylasia. The first session began with a presentation by Michael Lawrence (University of Sussex) in which he offered a critical response to Mark Cousins’s recent documentary A Story of Children and Film (UK, 2013). Cousins’s film purports to examine how “the adventure of childhood” has been depicted on film via a thematically organised collage of clips taken from more than 50 films from 25 countries, as well as home movie footage of Cousins’s young niece and nephew shot in the filmmaker’s home in Edinburgh. The documentary explores how filmmakers from around the world – from Yasujiro Ozu to Steven Spielberg – have depicted the figure of the child and the experience of childhood but, as Lawrence argued, the geographical and cultural specificities which determine children’s lives, the industrial and institutional contexts in which images of children are produced, and the various aesthetic traditions which shape those images – the very themes of the Childhood and Nation in World Cinema network – are rarely considered by Cousins in sufficient detail. The presentations that followed functioned as welcome correctives to the idea of a universal and eternal child perpetuated by a film like Cousins’s, and offered readings attentive above all to cinema’s exploration of childhood and nation. Victoria Grieves (University of Sydney) gave a presentation on ‘Aboriginal Childhood and the Settler Colonial Nation in Australian Cinema’ which provided an incisive analysis of the representation of Aboriginal children in recent popular Australian films—including Rabbit Proof Fence (Beresford, 2002), Australia (Lurhmann, 2008)—as well as in various works by Aboriginal filmmakers—such as Toomelah (Sen, 2007) and Samson and Delilah (Thornton, 2009). Comparing these films to earlier films such as Jedda the Uncivilised (Chauvel, 1955) and Walkabout (Roeg, 1971), Greaves examined the significance of the Aboriginal child for the Australian imaginary, and cinema’s instrumental role in perpetuating or challenging colonial and neo-colonial perspectives on indigenous children. 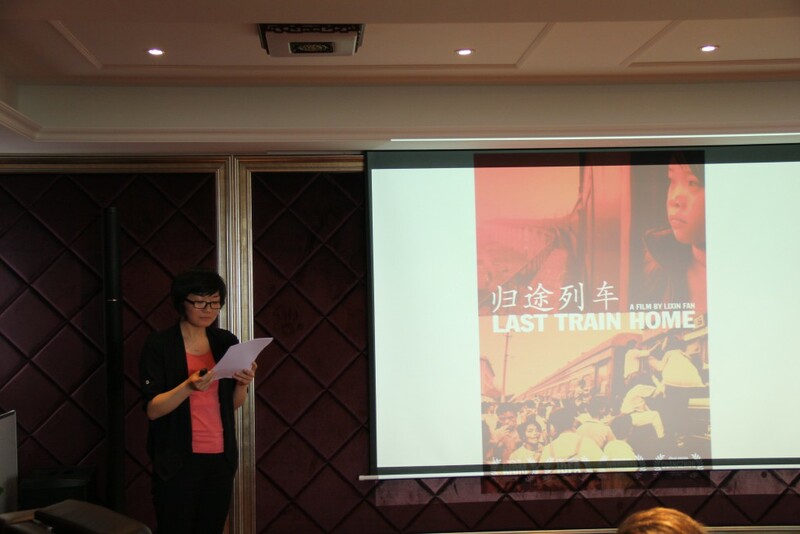 The following two presentations offered different perspectives on the representation of children in Chinese cinema, with both speakers addressing the acclaimed documentary Last Train Home (Fan, 2009). 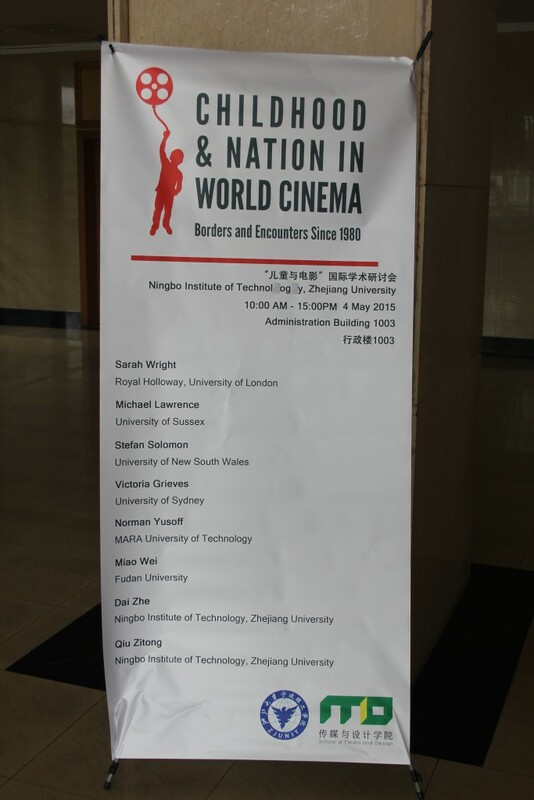 In ‘Individual Narration in the Crack of History: From Oh, Xiangzue to Last Train Home’ Dai Zhe (Ningbo Institute of Technology, Zhejiang University) compared Fan’s documentary with the earlier and fictional Oh, Xiangzue (Wang, 1989), both of which present stories of migration from rural regions to urban areas, in order to trace the child’s centrality for films which reflect the traumatic loss of idealism in China since the 1980s. The final presentation of the first session, ‘Last Train Home: Sacrificed Childhood in a Glittering Nation,’ by Wei Miao (Fudan University), drew on the concepts of ‘bare life’ (Giorgio Agamben) and ‘precarious life’ (Judith Butler) in order to explore how Fan’s film exposes the ‘sacrificing’ of childhood by both the children of migrant workers and young migrants themselves. 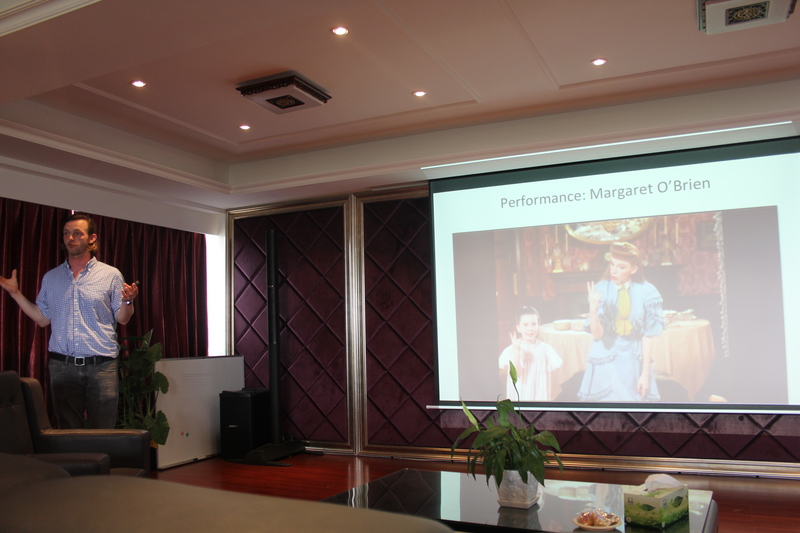 The second session began with a presentation by Sarah Wright (Royal Holloway, University of London). ‘The Importance of Child and Nation in Dominga Sotomayor’s De jeuves a domingo (From Thursday to Sunday, Chile, 2012) addressed how local and transnational notions of childhood and nationhood might be discerned in the film’s presentation of its two child protagonists, confined for the most part to the back seat of the family car while driving across Chile for a holiday. In ‘Childhood, Nostalgia and the Kampung in the Malaysian Film Mukhsin,’ Norman Yusoff (MARA University of Technology, Malaysia) explored how Yasmin Ahmad uses nostalgia, via a self-conscious reworking of romantic and melodramatic conventions, in her coming-of-age film Mukhsin (2007), whereby the focus on childhood enables a subtle critique of the forces of modernisation in Malaysia. In ‘Chechnya in Motion: Assemblages of Childhood in Contemporary Cinema,’ Stefan Solomon (University of New South Wales) provided a compelling analysis of the way recent European films have presented the (politically overdetermined) figure of the Chechan refugee boy. Looking in particular at Eastern Boys (Campillo, 2013) and Macondo (Mortezai, 2014), Solomon examined how the depiction of displaced Chechan youths in the cinema contributes to debates about the ‘unhomely’ children of Europe. 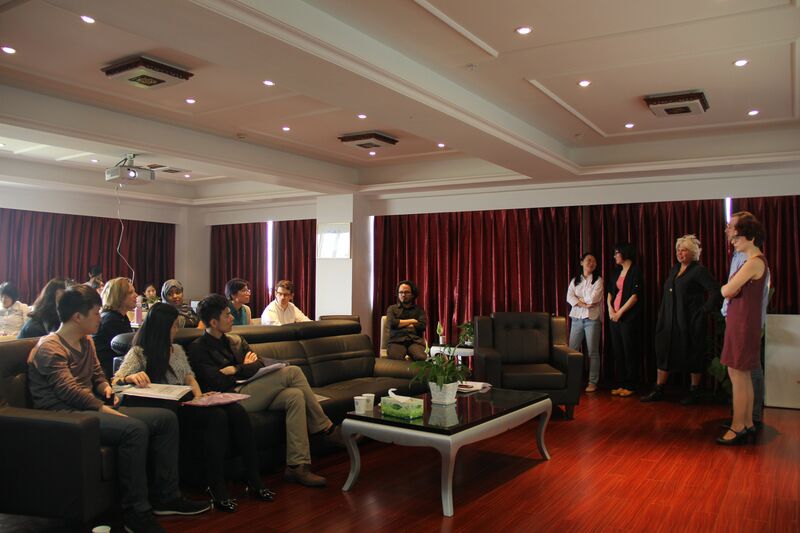 The final presentation was from Qiu Zitong (Ningbo Institute of Technology, Zhejiang University). ‘An Odyssey in Search of a Parental Figure: The Ethnic Child in Three Chinese Films’ referred to The Rainbow Road (Rong, 1960), A Uyghur Boy in Guangzhou (Jin, 1994) and Lala’s Gun (Ning, 2008) so as to consider how their allegorical representations of the child’s relation with actual and symbolic parental figures reflected the history of modern Chinese nationhood. 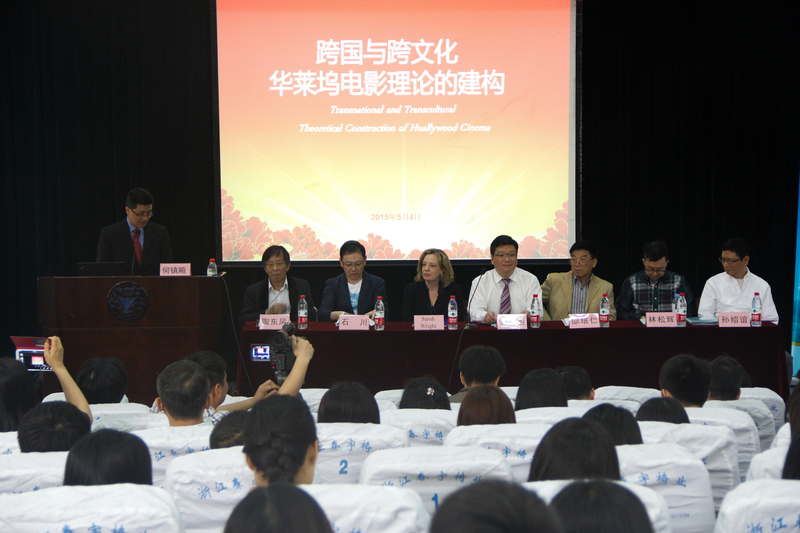 The conference concluded with the screening of half a dozen ‘micro-movies’ produced by students from the Institute, which were then discussed and judged by the conference participants, who were particularly impressed with the films’ imaginative and sensitive evocations and investigations of childhood experience.